For more information on our “whole-girl” model, please contact Laura Rebell Gross, Managing Director, Girls’ Education. 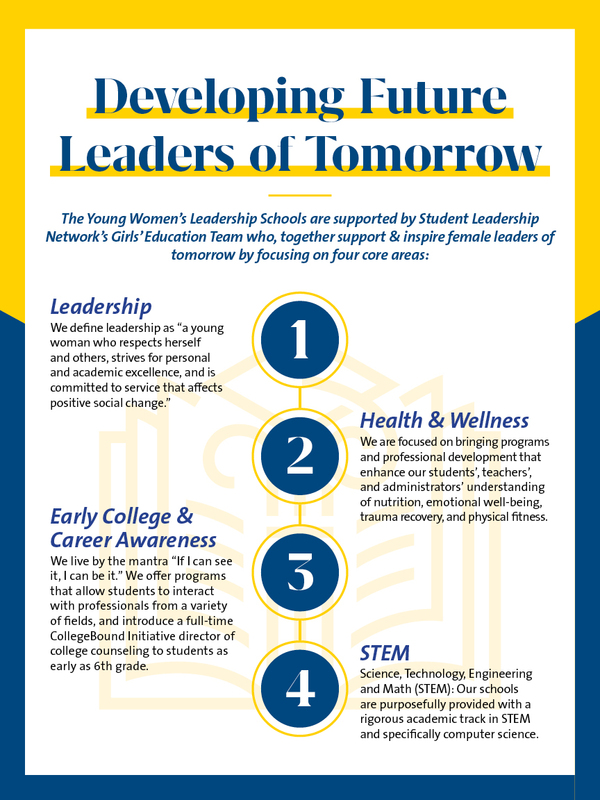 The Student Leadership Network (SL Network) provides TYWLS students, teachers, and administrators with opportunities, support, and resources that enhance teaching and learning. SL Network’s signature college guidance program, CollegeBound Initiative, is a major component of success at our girls’ schools. When each TYWLS school grows to include tenth grade, SL Network places a CBI college guidance counselor in the school to implement a comprehensive early college awareness and college guidance program. SL Network facilitates programming that supports the “whole girl” to develop students’ competence in four core areas: college and career awareness, STEM (science, technology, engineering, and mathematics), health and wellness, and leadership development. Network-wide events are planned for students in grades 6–12 to enhance their college and career preparedness. Extended-day and yearlong enrichment programs focused around SL Network’s core areas allow our students to expand their learning beyond the classroom. TYWLS teachers receive many opportunities for professional development, including new teacher onboarding and network-wide collaborative meetings to share best practices. To support and recognize high-quality teaching, SL Network funds curriculum grants for teachers’ classroom innovations and sponsors incentive programs, such as teaching awards and travel grants. SL Network offers TYWLS principals individualized mentoring, funding for specialized professional development, an annual Principals’ Retreat, and a Summer Planning Institute to facilitate academic year preparations. 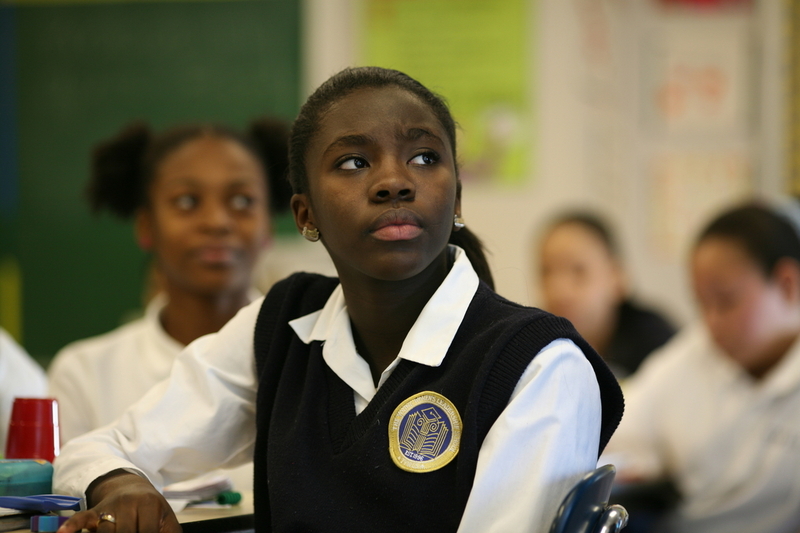 Girls’ Education research guides our TYWLS model, and our schools combine the best practices of all-girls education with effective strategies that address the array of challenges faced by at-risk students. The result is an academically rigorous program fused with strong social-emotional support that forms the basis of TYWLS’s “whole girl” approach to education.